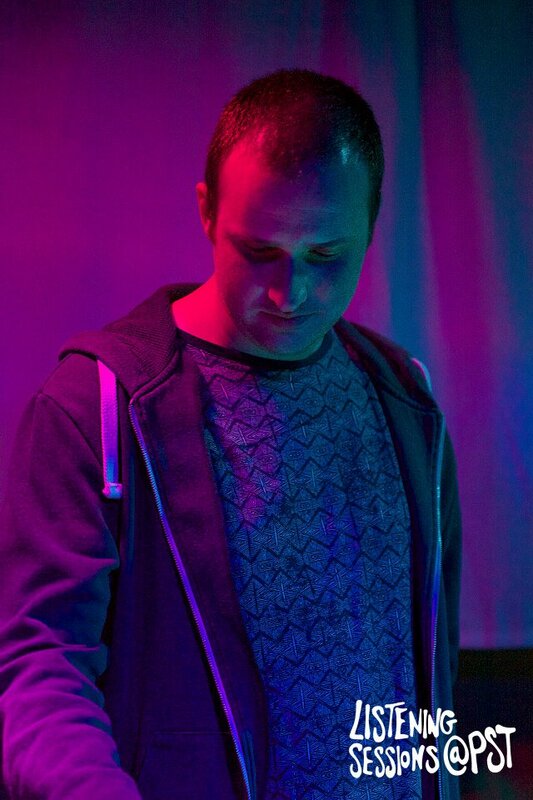 Slaine is a music producer from Birmingham who specialises in making D&B. Since attending and playing his music at Listening Sessions he has had support from Birmingham based labels Rawganics, Beta Birmingham and Skutta. With each release his audience has grown and now includes the mighty Ray Keith. 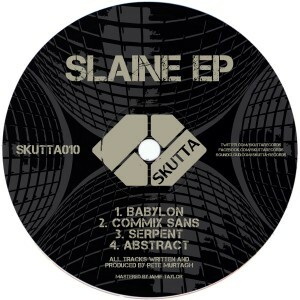 In the interview below, Slaine has shared some production tips and tells us about his journey in music. 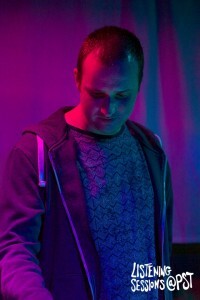 He was also kind enough to provide us with a storming mix in advance of his DJ set on the 5th September. How long have you been making music for? How would you describe the music you make? I have been making music for coming up to fifteen years now if you count playing in bands and stuff in my teens. I’ve played guitar and bass (not very well) since I was about 13 and then got more seriously in to computer music production around ten years ago. I’m coming up to 30 now so it’s been a little while. I always find describing my sound quite difficult as to me I feel like I make a number of different styles within the 170bpm/D&B format. 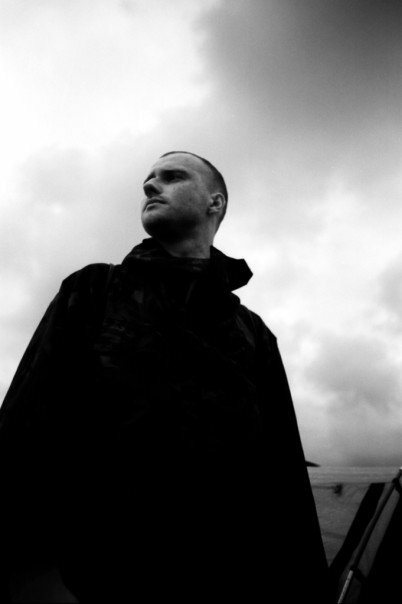 I lean towards quite a melodic style which I guess you would class as liquid drum and bass, especially when I get the guitars out and write in that way. However I also really love dark, atmospheric and quite sci-fi influenced music so write a lot of tech step and neuro influenced tracks, as well as minimal soundscape type stuff. It all depends on what I’m feeling at the time, whether I’m in a live instrument or synthesis type of mood. A common theme that seems to run through my tracks in general are cinematic type atmospherics with hints of ambient and post rock music, that I guess is an influence from some of the bands I loved when I was growing up, and also from film. I first got into playing music through learning basic guitar during my early teens. I played guitar in a couple of punk bands and wrote a lot of the songs which I guess taught me some knowledge of arrangement and structure. I then picked up the bass guitar and played in an improvised funk band for a couple of years which was a lot of fun. I got into djing around the same time and thought I would try and make some of the music I was now going out and listening to. I completed a two year music production course with Access to Music that gave me a few basic skills with sequencing and using plug-ins in Logic Pro. From there I taught myself a lot of things either through online tutorials, reading through threads on Dogs on Acid or just trial and error and have been pretty much obsessed with production ever since. On the 5th September you’re playing at the Dread Records night at Alfie Birds. How did the hook up with Dread/Ray Keith come about? Yeah I’ve been invited to play at the Dread recordings night which is a bit of a dream come true for me. The label and Ray Keith’s tracks especially were introduced to me by a friend around fifteen years ago, and really are what initially got me interested in D&B, so it’s an absolute honour to be included on that line up. The Ray Keith hook up came about a couple of months ago when I sent a pack of demos out to a few people and got a message back from Jungle DJ/Producer JINX who liked what he heard and thought Ray would be interested in them. I sent them over and got a call back from Ray that same day. It was a bit of a surreal conversation and I wasn’t quite sure if it was a wind up or not at first, but Ray was really encouraging and interested in what I was doing. After some back and forth messages between us he managed to get me on to the bill for the Birmingham Dread event that Tim Ryan was organising, and we are in the process of getting some of my tracks together for a release but its still early days so nothing is set in stone yet. How did you get into D&B, was it through friends, going out etc…. I first got into D&B through listening to some tape packs while on a work experience placement in a hotel kitchen when I was about 14/15. One of the chefs there became a really close friend of mine and he was going out raving every weekend and then coming in to work and listening to tapes by Randall, Andy C, Ray Keith etc. I ended up getting a regular job there so got a good schooling on D&B even before I had been to a rave. I then started going out to nights like Broken Minds at the Dance Factory and Pro-session and Autumn at the Custard Factory in Birmingham where I really started to understand what it was all about. I started djing round at friends houses, then got my own set of belt drive turntables for about £100 ish and learned to mix. I was never really into any other forms of dance music at all at that time, I just thought D&B resonated with me in a really similar way to the punk and metal bands I was into but also incorporating loads of other music styles I liked including reggae, jazz and soul music. How did you find playing at the last Rupture/Skutta/Listening Sessions event? From what I remember, it was a pretty dirty selection – do you think djing will affect your music? That whole night was such a great experience! I really enjoyed playing on that ridiculous sound system that Creative Hertz have put together, and the crowd were really enthusiastic and up for it well into the daylight hours. I had a lot of fun opening up the night and got to try out a load of new stuff I had been working on and fully test out the Skutta Records E.P I released a month or so earlier. My selection did end up being quite dark and dirty which was a conscious decision really as I like to cater my sets for the type of event I’m playing at. Rupture and skutta are both known for their distinct styles so I was keen to reflect that in my set. I had made a few quite dark tracks with that event particularly in mind, which is what I always like to do if I’ve got enough notice of the gig. I guess djing does affect my music production as sometimes I will make tracks with an idea of them performing a certain role in a set, but this is overall a good thing as it means I keep creating different styles. I generally play mostly my own stuff in my sets so I like to have a good variety of styles available to me when i’m djing. I remember hearing your tunes at the first Listening Sessions, and I remember that the production was spot on. And your music has consistently been good in terms of actual music and production. Are there any production tips you could share? I remember that night well, Listening Sessions is my favourite night out in Birmingham and just keeps going from strength to strength. There were so many great producers playing that night, and it really was the beginning of a lot of exciting things that are now popping up around Birmingham. Thanks a lot for the kind words, but it’s hard for me to comment as I still just pick apart all the flaws in my music, whether it be the musicality itself or the production standard. I’d say my background in live music and playing an instrument must have helped when it comes to the composition, so I would recommend any producer at least attempts to learn the basics of how music theory works. I don’t know anywhere near as much as I should do, and a lot of it is just guess work and playing by ear but some knowledge of music theory will definitely help, even if you are trying to make horrible distorted music. As for production tips I could go on forever and a lot of it is already out there online. I would recommend reading through the archived DOGS ON ACID threads and also checking out RESOUND’S blog and FANU’S blog, they are both consistently good and very helpful. I use a low cut or a low shelved eq on pretty much every channel, cutting from around 30hz STANDARD (including effects sends). This will remove unwanted rumble and ultra low-end weirdness from your sounds, and can bring a lot more clarity to your mixes. Use a frequency analyzer to see where your individual parts are peaking. EQ is probably the most important tool you have. I generally use a narrow peak to sweep across the frequency range of all my main instruments and bring down any nasty peaks that are either too prominent or muddying the sound of more important instruments. Subtractive EQ-ing is the single most effective technique I have ever learned. Learn about Gain Structure with regards to mixdowns. I like to bring my master drum channel up to about 90% as loud as I want the whole track to be, then work in the bass (usually around 3 qtrs of the volume of the drums) then bring in everything else up around them. I think if you have a solid rhythm section building up the centre of the mix then everything else can just hang off that. Learn your plug-ins well. I have all the plug-ins under the sun but pretty much use the same 5-10 core plug-ins in most of my tracks. If you learn an eq or distortion unit really well you will be able to get pretty much any sound you want out of it. Don’t worry about what’s the hot new thing as you can probably recreate pretty much the same results out of what you already have. Make loads of tunes! Don’t get stuck trying to perfect that filthy neuro banger you are sure will be massive if you can just get that reese to move a bit more. A lot of the stuff I’ve made that I think is the most impressive was made very organically and simply, whereas most of the tunes I have spent more than a couple of weeks working on just end up never being played. Go with what feels natural, its all about flow and when you are in it, a track will pretty much write itself. How did you get to hear about Listening Sessions? I first heard about the night through Tommie Hayes who I had known for a few years through mutual friends. Tom and Mat had decided to take the risk and see if Birmingham was ready to start supporting and nurturing its local talent, and it really paid off. That first night was full and the atmosphere was electric, I don’t think anyone involved even realised there were that many talented producers around the city. I’ve released stuff on a few labels now including Rotation recordings, Rawganics, Beta Birmingham, Atmomatix records (Belgium), Viral Audio and of course Skutta Records. I got my first couple of releases on Rotation Recordings after Adam contacted me while I was djing on ‘dnb midlands.com’ a few years back. A lot of the hook-ups have happened through the local scene in Birmingham, the Skutta records and Rawganics releases especially, as I got to know all those guys through the Listening Sessions nights. Other releases have come from online stuff, like people just contacting me through Soundcloud and Facebook. The hook up with Atmomatix came from them messaging me directly, and as they happen to be interested in a lot of the more melodic and guitar driven stuff it gives me a really cool outlet for a different type of sound. The first thing they released was a 140bpm/garage type track I made so it broadened my horizons as to what release possibilities were out there. I’d say it’s best to try and take advantage of all the opportunities you have to promote yourself and get a variety of releases. I’ve been really lucky to have a lot of support from a local community of producers and djs and have seen what networking on a ground level can achieve, so I would definitely recommend getting involved in your local scene and sharing between your peers, even just for some honest criticism on your tracks. These relationships you form face to face will most likely result in things happening for you later on. You then obviously need to keep on top of your Soundcloud promo and keep sending those track links out to labels that you genuinely love. I’ve spent a lot of time over the years sending stuff out to labels and mostly never heard anything back, but occasionally you will get an encouraging bit of advice, or someone suggesting another label to try and this all helps along the way. I think sometimes when you are sending stuff to so many labels and not hearing anything back it seems like no one wants to know, but the people you’re contacting have probably got 30 other messages looking exactly the same as yours and nowhere near enough time to download and get through them all. Try to speak to people on a personal level rather than spamming them. If someone approaches me online in a genuine way, with an obviously personally tailored email rather than a blanket ‘Ez mate, here’s some bangerz’, then I will always respond to them in a polite and respectful way and a lot of label owners seem to be the same. How do you think your music will evolve over the next few years? Do you feel a particular direction or genre? What does the future hold for Slaine? It’s hard to say. I would like to take it as far as I can. I just hope I can keep upping the musicality and production level of my tracks. I feel like my music has improved massively in the past 12 months, so I can only hope that I keep my head down and am just as productive over the next couple of years. I think genre wise anything under ‘Slaine’ will still be in 170bpm/drum and bass territory as I still find it the most versatile form of music to hang my (however ill-informed) ideas off. I make a variety of styles within that framework so like to think I’ll be able to keep it interesting for myself and anyone who wants to listen. I have ideas for other musical projects forming at the moment and would love to get a live act together if I could find the right people. I’ve toyed with the idea and would love to play in a band again either as a live performance of the ‘Slaine’ stuff or as something new and perhaps more free of genre constraints. At the moment though, my head is fully into just getting more releases sorted and djing out a lot more. What drives you to make music? I honestly don’t know what I would do if I didn’t make music. It’s pretty all encompassing for me and has been for quite a few years. I get a lot of satisfaction from making music and it seems to be my way of dealing with whatever is going on in my life. Anyone who knows me personally will understand that the last 18 months or so have been really hard due to things out of my control, and the progression of my music has been pretty much the only constant that has kept me on track. It’s a massive cliche but it’s my release, just like people have sport or art or drinking/drugs or whatever, everyone has their thing and mine is just making tunes. It feels like something I almost need to do to stay sane at this point. Where does the name ‘Slaine’ originate from? Is it 2000AD related? Yes! You’ve got it. I was really into 2000AD when I was growing up. That comic and its 80’s sci-fi/noir type styling has probably had quite a big influence on my music as a whole. Without that introduction to fantasy/sci-fi I probably wouldn’t have gone on to watch certain films or listen to certain styles of music that have shaped the taste I have now. Slaine was always one of my favourite characters and I just like the sound of it really. Also coming from a family of Irish descent it’s nice to have a name with Celtic roots. Thanks a lot for the opportunity to do this interview and mix. I’d like to thank Tom and Mat from listening sessions and Luke and Anthony from Skutta for their ongoing support! Also big thanks to all the labels I’ve mentioned and everyone that’s booked me to play over the last few months. You can catch me playing on the 5th September at the Dread Recordings night at Alfie birds. 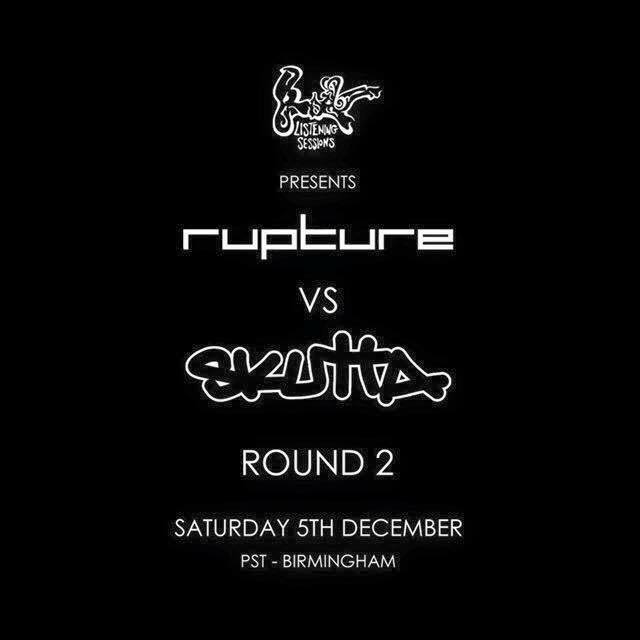 I’ll also be playing upstairs at Rupture vs Skutta Round 2 on 5th December at PST. Check out this interview and mix by D&B maestro Slaine!